Replication of ‘crunchy’ sounds could influence our texture perception of food, even when the associated feeling is absent in the mouth. A recent study by the National Institute of Industrial Science and Technology (AIST) Japan, reported on in food and beverage publication Food Navigator, found that satisfaction and pleasantness of foods scored a higher rating when accompanied by a crunching noise. At Tate & Lyle we recognise the importance of providing foods that deliver outstanding taste and texture that our customers know and love. We understand the importance of helping manufacturers to produce products that keep consumers feeling fuller for longer, while delivering a pleasing mouthfeel. X-Pand’R SC Starch range is made from cold-water-swelling maize. 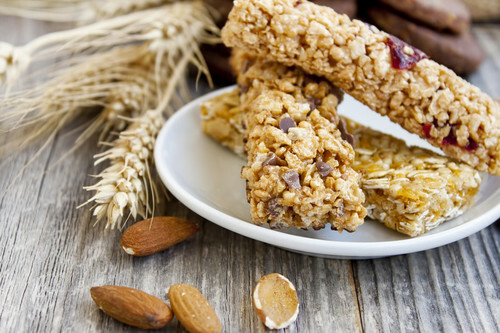 It provides a crispy texture to your cereal and snack bars and can be used in formulations to create a crispy coating on dried fruit and nuts. Our texturants are another example of how we help make food extraordinary. We can help you determine the ideal texturant to meet your specific product needs and/or desired health benefit claims.